High school students are given assignments to write Global Warming Essays to create an environmental awareness among them. College students also will have to write global warming essays and research papers on global warming as part of their coursework. Global warming or climate change is no doubt a serious issue faced by the human civilization. Research into global warming has clearly established that human activities are a main cause for this serious threat. The end result of global warming cannot be predicted but it can be as serious as eliminating many species of flora and fauna, including humans from the face of the earth. As the global warming is a very serious threat to the mankind, whole world is concerned about it. It has been observed that the average temperatures of the Oceans and the atmosphere are rising. 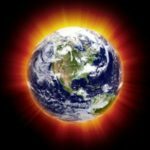 Scientists, who investigated the reasons for this rise in temperatures, found that the human activities are the main reason for the global warming. As there are other changes associated with warming in the climate, global warming is referred to as climate change. As the subject areas connected to climate change are diverse students have to select a topic that falls under their discipline. The selected topic should be able to trigger the interest of the readers. Students can also secure help from an essay writing service in identifying a suitable topic. Most scientists agree that the main reason for the current climate change is the green house effect created by the emission of “greenhouse gases” by human activities. Carbon Dioxide is the most common greenhouse gas. With the industrialization more and more Carbon Dioxide was added to the atmosphere increasing the Carbon Dioxide concentration. Normally Carbon dioxide in the atmosphere is converted back to Oxygen by green plants. Clearing of forests aggravated the situation. Other green house gases like Chlorofluorocarbons (CFC) used widely for refrigerating also have contributed to global warming. This topic has much potential for writing informative global warming essays. From 1990s United Nations initiated an international dialog to take a joint action to minimize the human contribution to global warming by cutting down emission of greenhouse gasses. After a long series of negotiations and conferences, Kyoto Protocol was adopted 1997. This protocol aims at reduction of Carbon Dioxide emission by the member countries. The signatories have to commit reducing their emission levels. So far 191 countries have signed the protocol with the notable exception of USA, a major contributor to the green house gas emissions. Students writing global warming research papers can get help from a good research paper service to write argumentative or persuasive style papers that can score high grades. Writing global warming essays is a big challenge because there are many facets to the global warming issue. The causes of climate change, human activities that cause global warming, global warming and poverty, responsibility of the major polluting nations, Kyoto protocol, economics and politics of global warming are some areas that the students can focus in there essays. If they are unsure of producing a good essay, they can also consider the option to buy essay from a good reputed essay writing company such as Paramountessays.com.